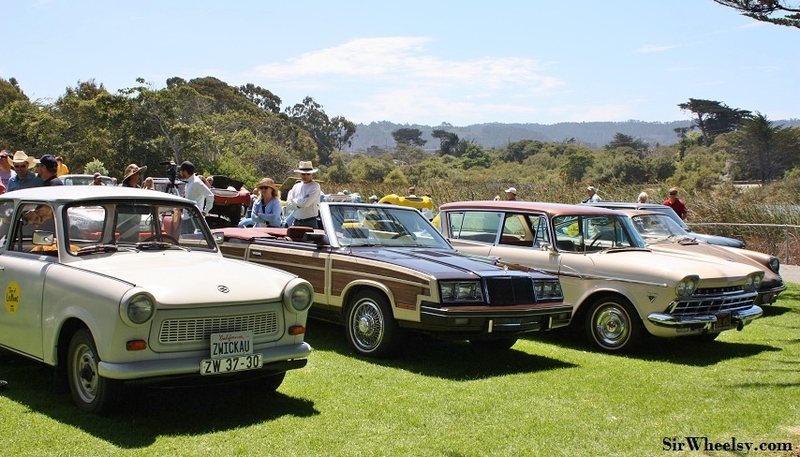 Car Week on the Monterey Peninsula is known for it’s multi-million dollar car auctions, concept unveilings, glamorous parties, and of course the Pebble Beach Concours d’Elegance. The premier motoring event in the world to show off your great grandfathers 1906 Rolls Royce or that newly purchased Ferrari GTO with a long racing history, if you can get invited. 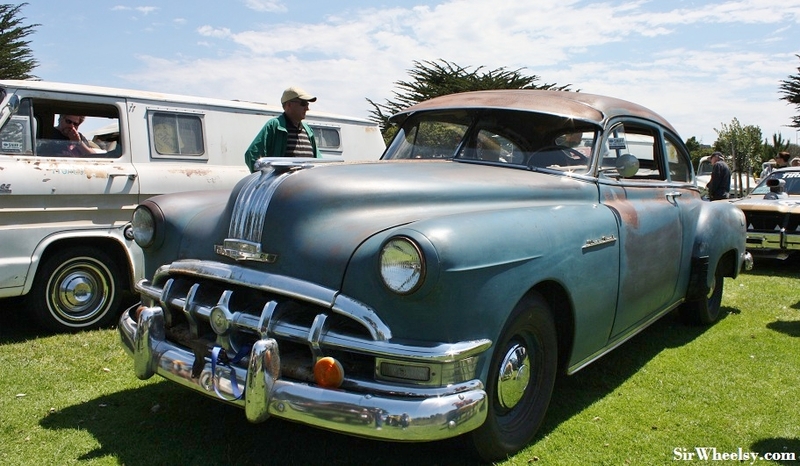 For the last few years, event organizer, Alan Galbraith, of Billetproof fame, has led a different type of event in the area. I won’t say it punches Pebble Beach events in the nose, but definitely gives them a Three Stooges style “honk” in the you-know-where. 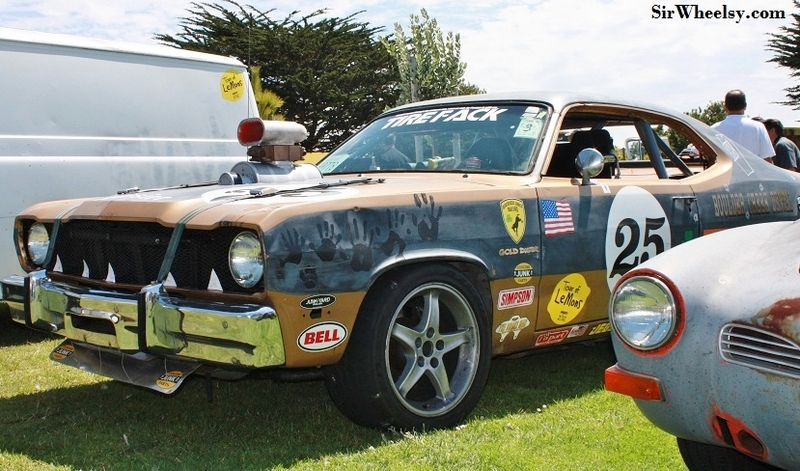 The Tour d’LeMons, billed as the Worst Car Event in the World, showcases some of the world’s worst heaps, odd-balls, and bizarro cars in one place. Finally you have a place to show off that mistake you purchased in 1972. 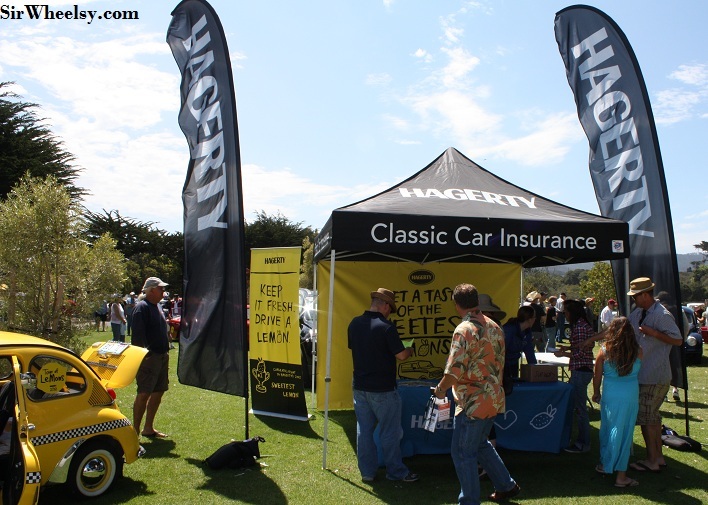 This year the event was sponsored by the good-humored guys at Hagerty, who agreed to write the event insurance. 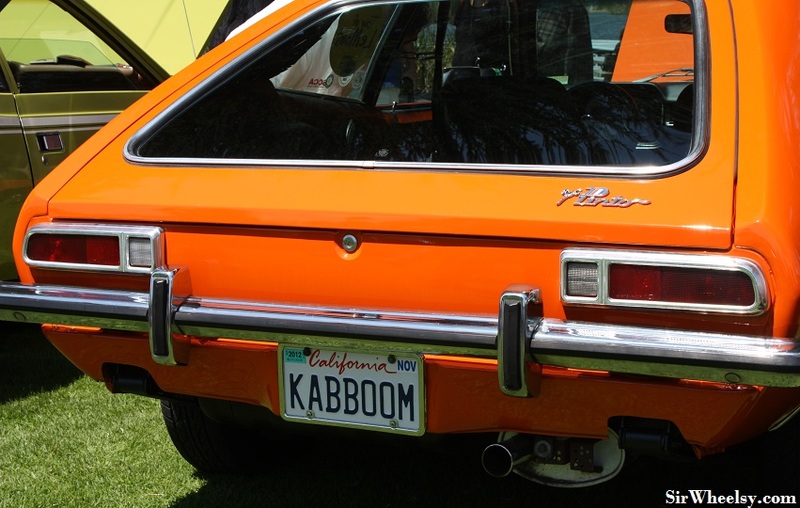 They were very thankful the fire-prone Pintos and Fieros did not explode and shoot flaming K-cars all over Seaside, Californa. 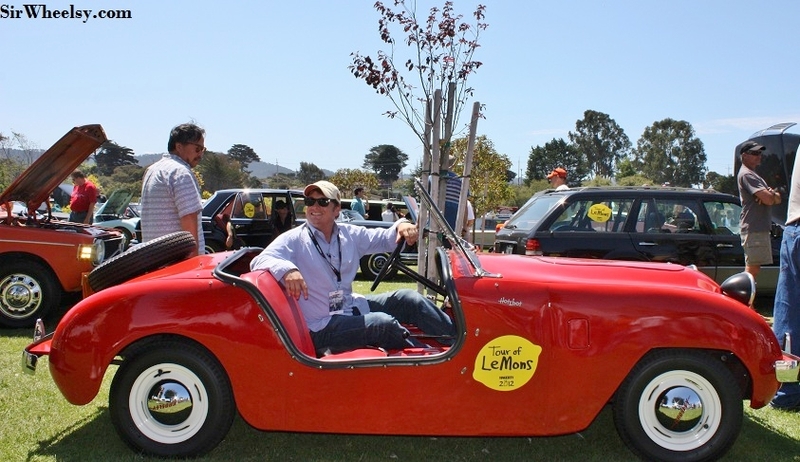 This year was the first “Tour” d’LeMons. 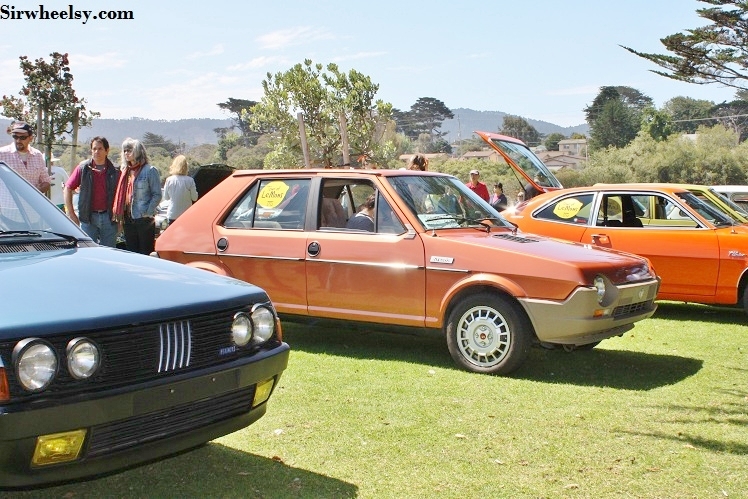 I can’t believe Alan thought driving some of these cars was a good idea, but even he bragged that there were no breakdowns, while there where six on the Pebble Beach Tour d’Elegance a couple of days ago. If you ask me, that leaves a lofty goal for next year. Here are some of my pictures from the funnest event during Car Week. 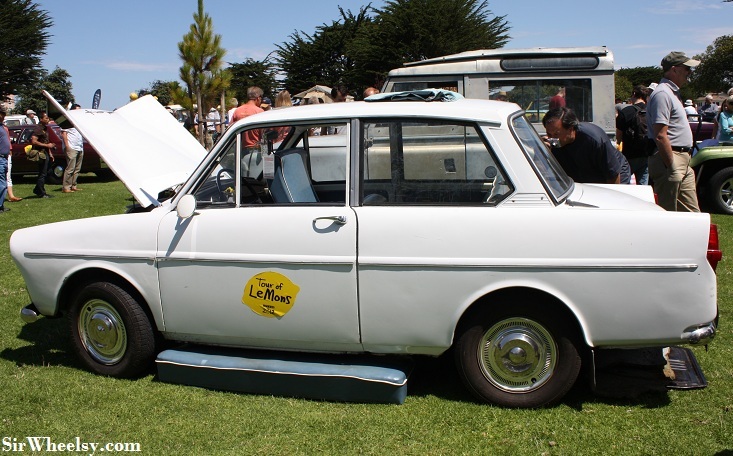 The Tour d’Lemons is horribly awesome and shouldn’t be missed. 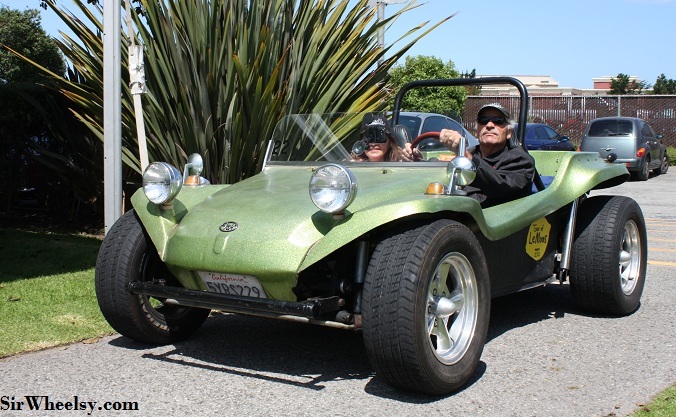 A VW Dune Buggy rolls into the "show field" from the Tour. 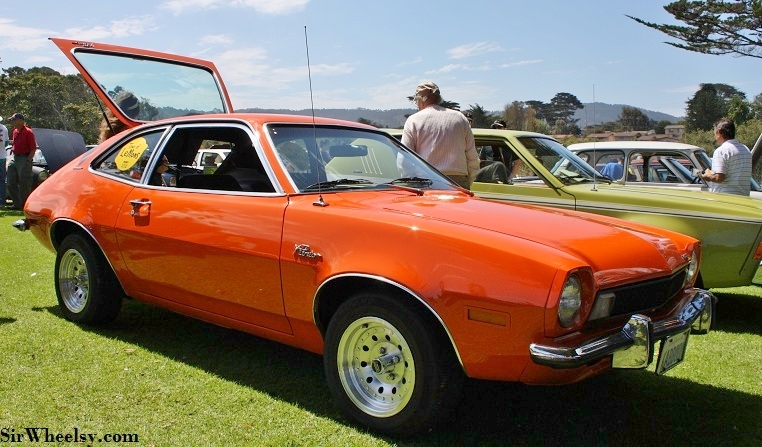 Not sure why anyone would spring for such a nice paint job on a Pinto. Don't you really want it to get rear-ended? Pete with Atomic Toasters showing off his 1977 MGB, nick-named the ZomBee. It runs on hope and love, especially since he robbed the motor from his wife's car last week. This was on loan from Mazda. No joke. Mint condition and the right color for the LeMons. 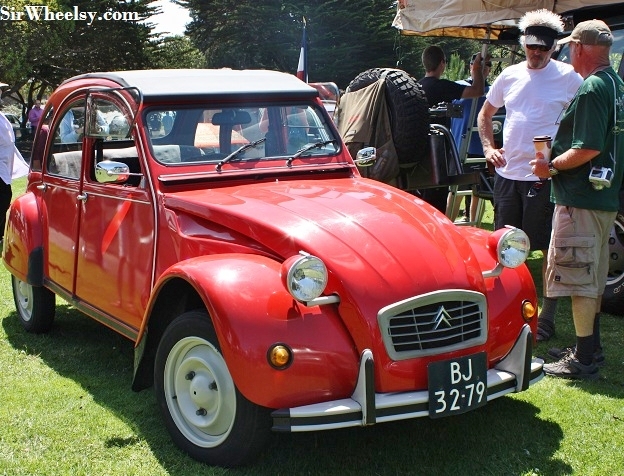 There are lot of Citroens around town, and a very rich mechanic. 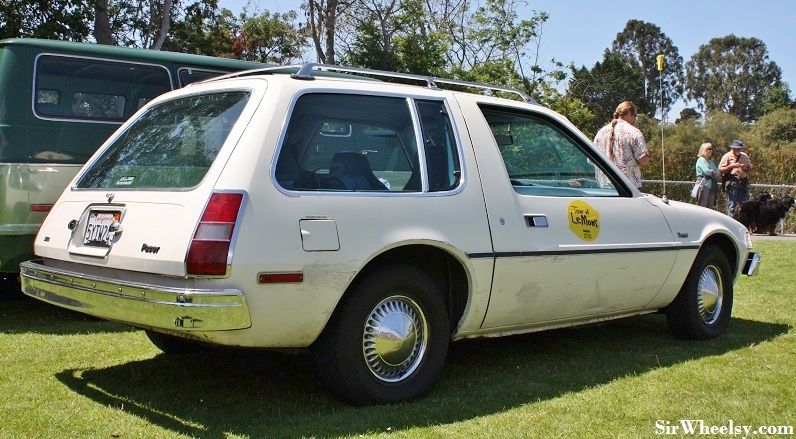 Not sure why you'd have an AMC Pacer not painted like the Murf Mobile. They had to air out this Volvo. 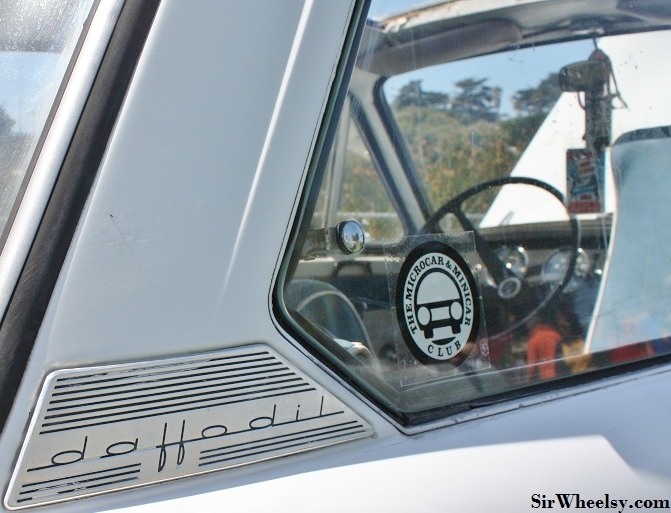 I saw this parked around back at Pebble Beach. 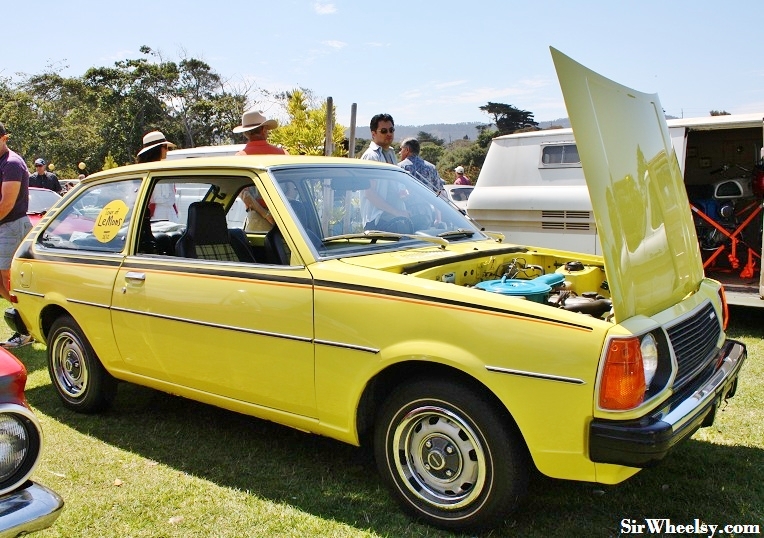 This Datsun was almost too nice for the show. Unless it's really a VW with a Datsun kit. 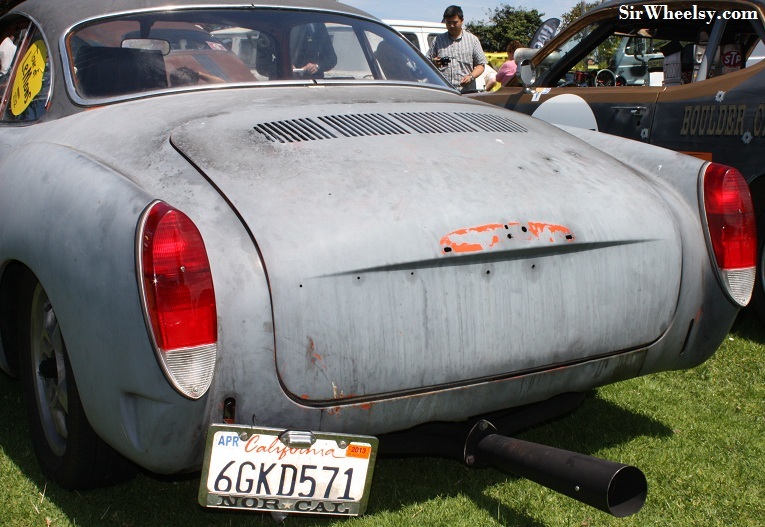 The blower was made from soup cans and a bucket. I hope I'm not blowing the owner's cover. 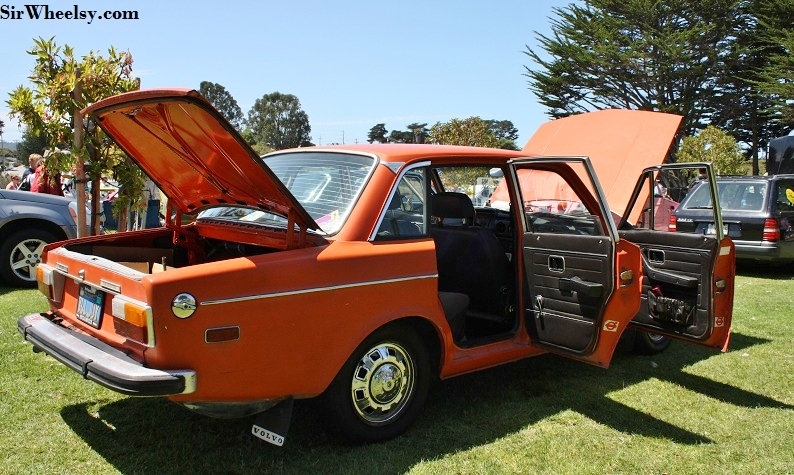 Have you ever heard of a DAF Daffodil? I’m sure you have, but I haven’t. 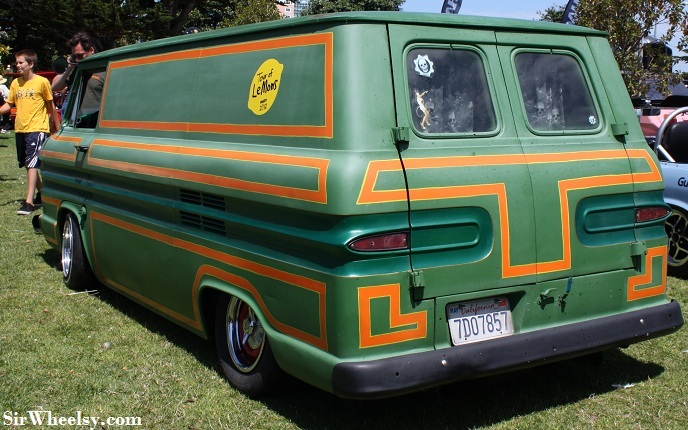 It was built in Holland in 1965. The awesome owner, Mike, explained the transmission is like a jumbo mountain bike gear and would beat every car at the Tour, if they were driving in reverse. That sounds like a good idea for next year. 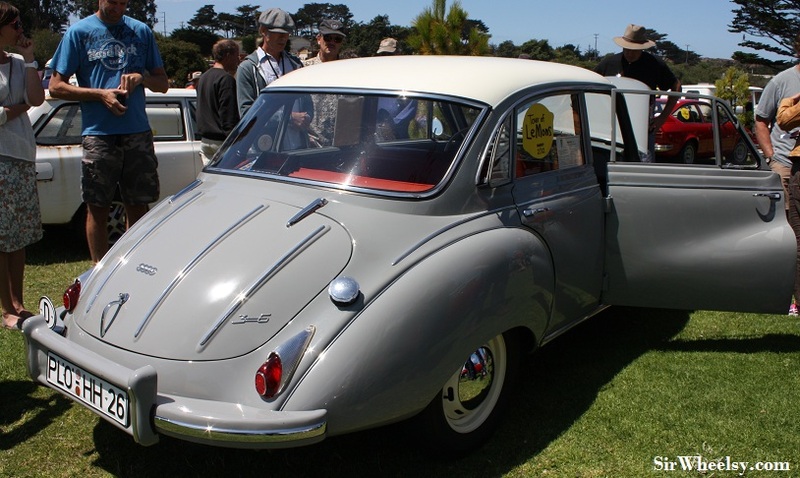 I'm not sure if this DKW was coming or going. Vincent Vega...our man in Amsterdam. 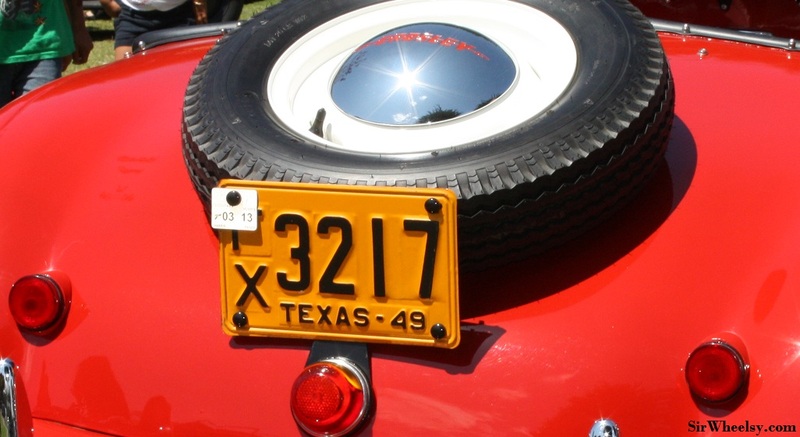 Crosley collector, Evelyn Fasnacht, from Houston, Texas had a 1949 Crosley Hot Shot on display. 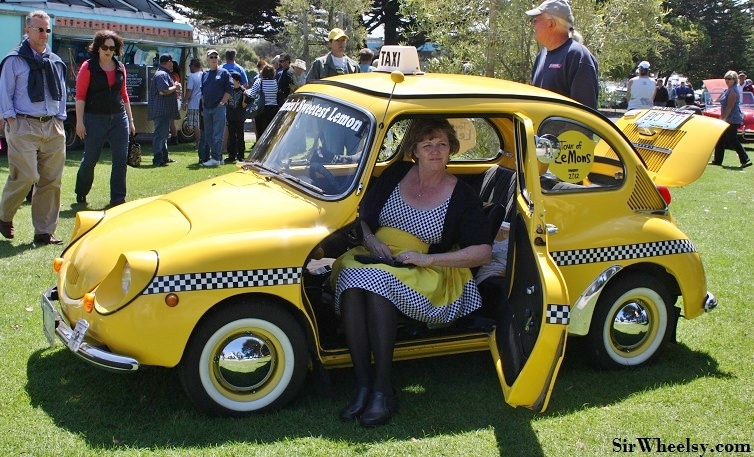 She was kind enough to let me sit in it and I think it lowered a foot or two when I sat down. Back side of the Crosley Hot Shot. A Subaru 360 and The Beauty of All Wheel Drive. I heard that bribing the voters and judges is fair game, and apparently that's true based on this Jeep's tail gate. 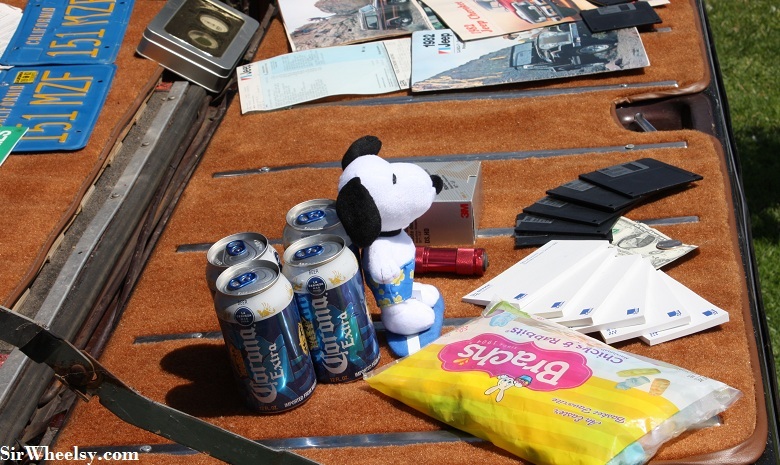 Nothing says "vote for me" like a $1.25, some 3.5'' floppies, and Sun-warmed Corona. 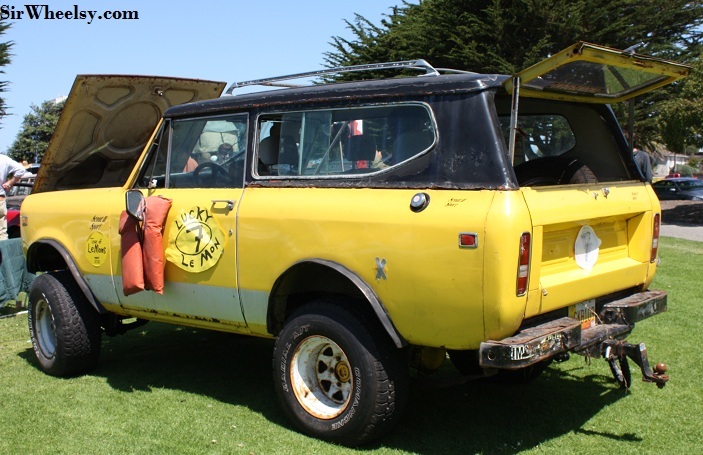 Rust Bucket Award went to this International Scout. The owners wore life preservers just in case the brakes went through the rusted out floorboards and they plunged into the Pacific Ocean. 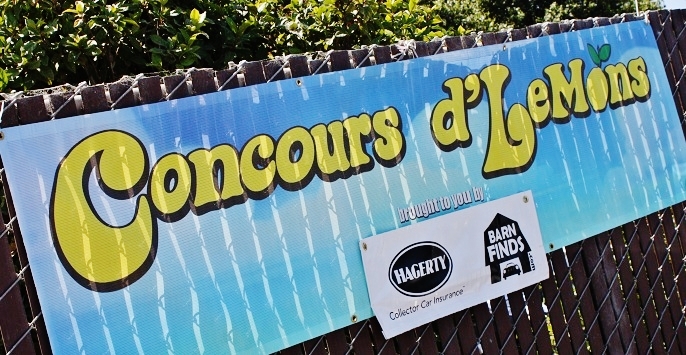 The Best of Show and Most Sour award went to a nice little Sunbeam Tiger. My picture of the Tiger looked like garbage, which is unfortunate since the car was actually very clean. This entry was posted in Uncategorized by GranT urismo. Bookmark the permalink. 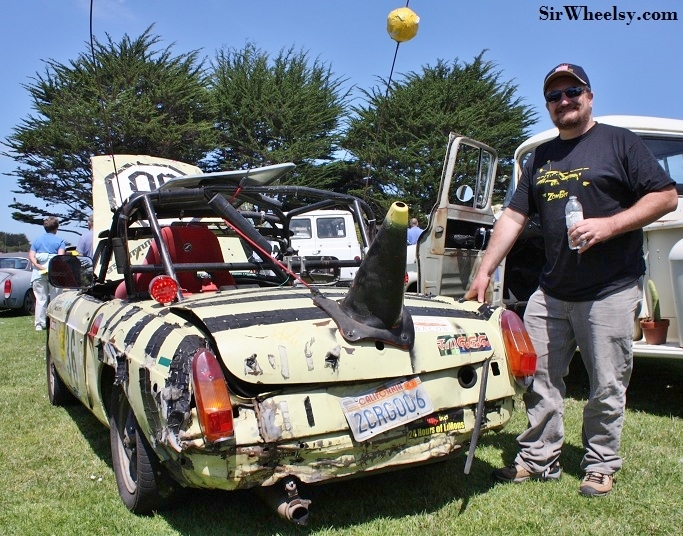 Odd-balls and bizarro cars yes, but what a fun event. I would love to go sometime. Your pictures are great. Thanks for sharing them with all of us car-crazy guys. 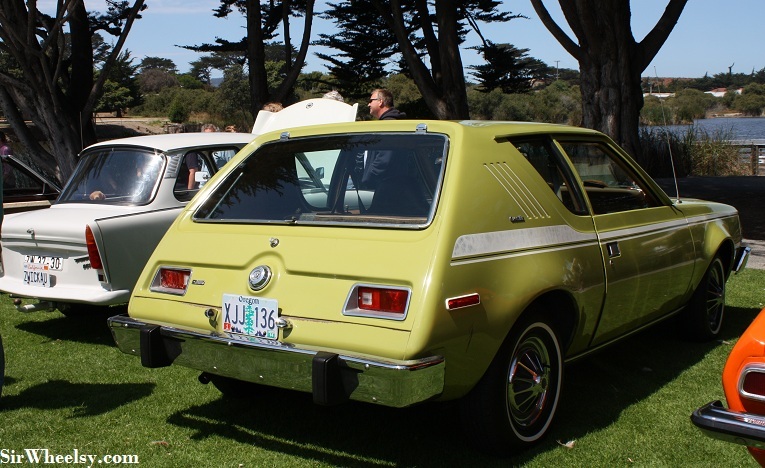 I am the owner of the Green Gremlin fondly known as Sherman! Would you be kind enough to send me a copy of the Gremlin Pictures you have, for my personal file? Thank you for hosting him on your blog. 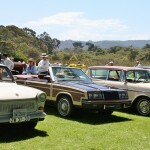 I bet you don’t charge $100 for admission like the other Monterey car show! 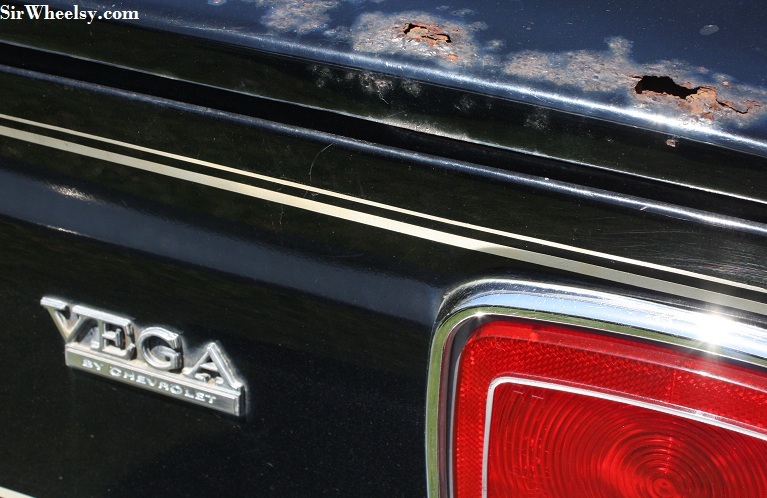 I see the Vega has rust — that brings back memories.